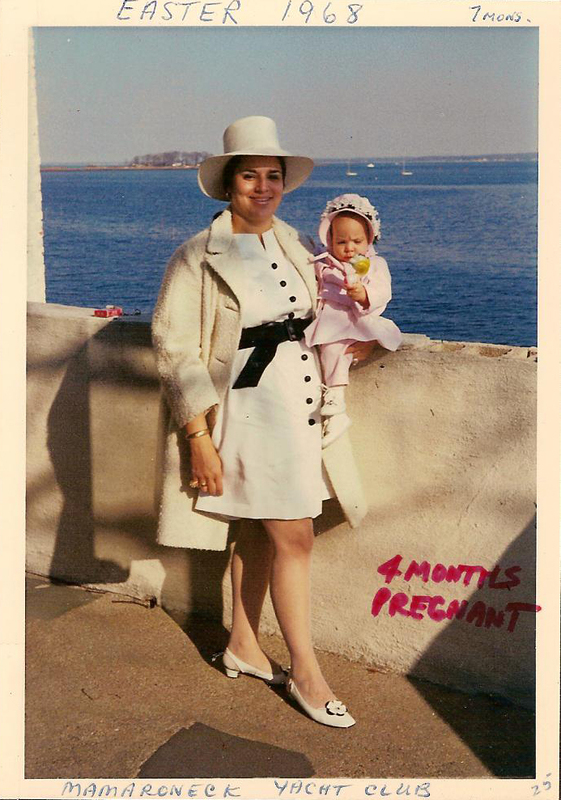 My mother and I at the Mamaroneck Yacht Club in Mamaroneck, New York. Even at seven months old, I knew the cool places to hang out. My mother is four months pregnant with my brother. Are you diggin' that maternity dress and those mod shoes? Happy Mother's Day, Mommy!! Hope it's a wonderful one! A Happy Mothers Day to a beautiful and stylish Mom. Your cute too Salena. Ok, I'm kind of slow. I thought that was graffiti on the wall. Does Anyone Have One Of These I Can Borrow?